Yesterday, Governor David Ige and state Financial Institutions Commissioner Iris Ikea of Hawaii, made a public announcement yesterday, Sept 12, which is sure to please the dispensary owners in his state. Governor Ige announced a plan for the first state-authorized financial institution which allow cannabis businesses to operate without cash and access electronic financial services which are normal to every other industry in the United States. One of the most pressing and difficult issues for cannabis operators across the country has been dealing with continuously closing bank accounts, due to the discomfort financial institutions feel under FDIC oversight and federal money-laundering laws. The program is a first of its kind – although credit unions have come and gone in states such as Colorado and California, ll eight of Hawaii’s dispensaries have agreed to participate in the new program, starting on October 1st, 2017. “While determining a banking solution, the Department of Commerce and Consumer Affairs’ Division of Financial Institutions focused on safety—for patients, employees, dispensaries, as well as the wider community. The department sought a cashless solution to address concerns about increased crimes committed against cash-based operations. “‘This solution for the dispensaries to conduct banking services in an entirely cashless method would directly address many concerns we have and problems encountered by the dispensaries,’ said Iris Ikeda, Hawai‘i Financial Institutions Commissioner. ‘This will establish a safe environment for medical cannabis-using patients and businesses to operate. 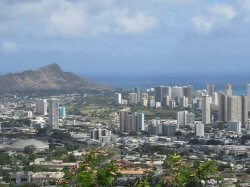 It is our hope that a Hawai‘i-based financial institution opens accounts in the future. For now, we are appreciative of the mainland credit union for stepping in,’ added Ikeda. Of course, I believe the only true solution to the banking problem is removing cannabis completely from the federal Controlled Substances list. But incremental steps are helpful, and legalization is moving in the right direction! It’s encouraging to see Hawaii’s political leadership step up to address such an important problem for his state’s new businesses. Come see how this banking solution is working on the ground in Kauai, Hawaii, this December for the International Cannabis Business Conference Finance Investor Forum. We’ll be talking about all the most important topics for the cannabis business person, from leading global experts in the industry. December will be here quickly, so make your plans now!